Well done, Jacqueline! They look beautiful. I’m so glad you enjoyed Better Batter flour. At this point, it practically courses through my veins! It was a fun first foray – and I loved the ease of it :) Definitely more yumminess with it to come! I found it to be pretty spot on, easy to use. Let me know what you make with it! Muffins make everything better! I think I’ve been in denial about my need for muffins recently. I should really bake some of these. Sticky muffins are my favorite! That plate of food looks so yummy! Perfect for a little coffee time! Great stuff, Dusty! Those look great! 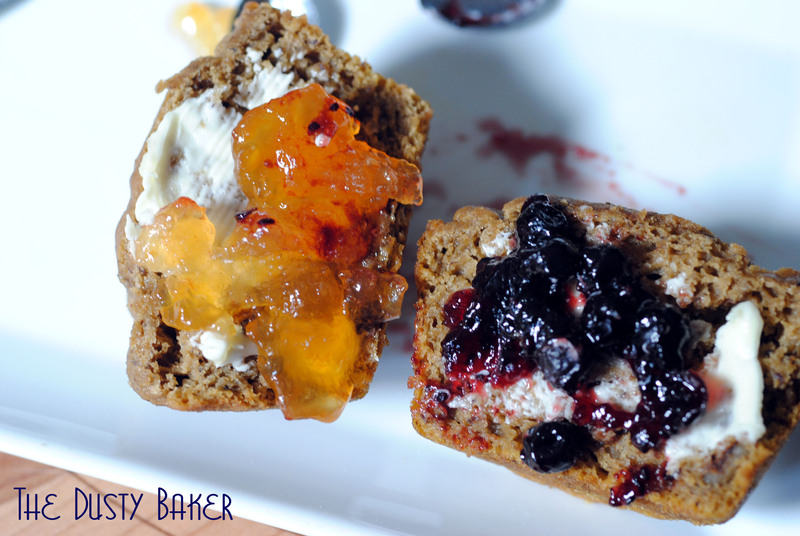 I have yet to make many gluten free recipes, but this one is definitely one I will try. They look delicious! Muffins are a great way to step into gluten free baking as they’re rather forgiving and take on whatever kind of flavor and extras – nuts, fruit, chocolate – you load into them. Good luck! Oh, these sound fantastic! 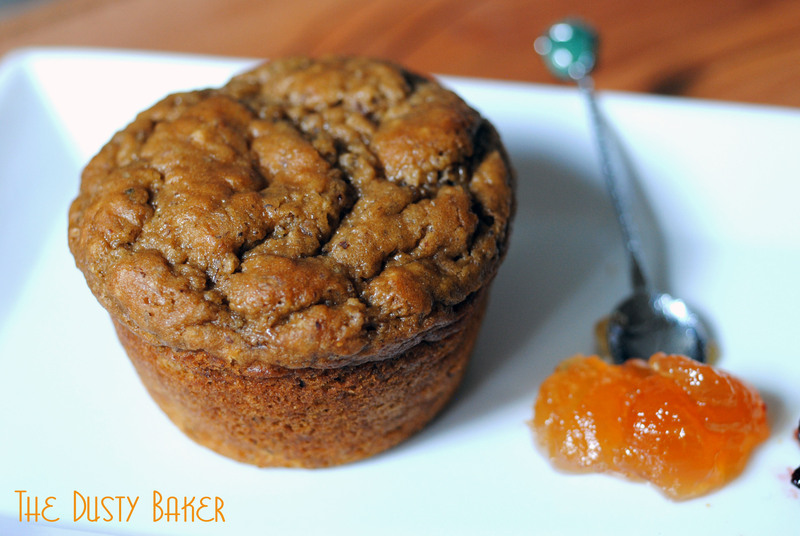 Sticky always makes for a lovely muffin – and I love that you healthified them! In Cleveland, due to the lake effect, we get snow from November to April, sometimes into May, and I can definitely relate. I never got as far up as Cleveland, but with the wind and cold I get living by a river I can only imagine what you get up there! Good luck, and cheers to muffins! 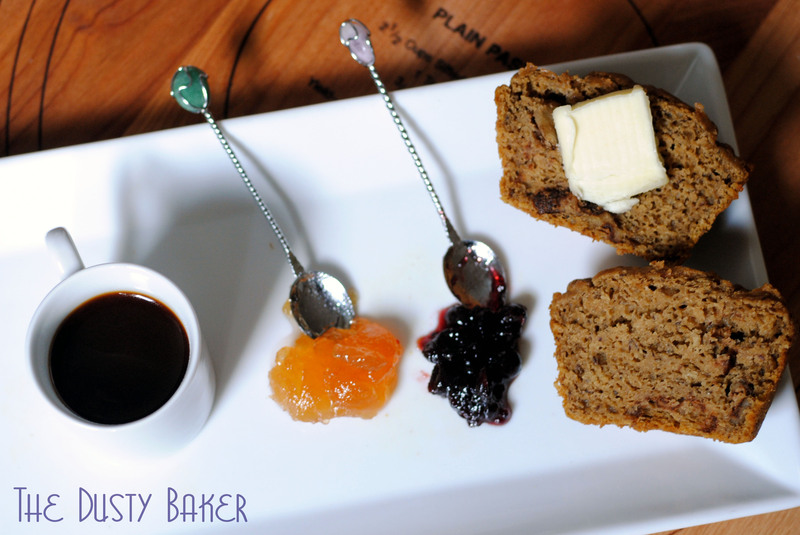 Mmm… can’t go wrong with a sticky muffin on a cold day. You hated Blue Valentine?! I found it a bit depressing but very realistic. Oh yes. The Paris! I love their fancy velvet seats. Also the BAM theater in Brooklyn is great. Check it out! These look fantastic. I know October and November are the “pumpkin” months, but I have to say I’m less ordinary and love using that sweet can of love any time when my heart desires to. Thanks for the recipe- it looks so simple! These sound great! I love the jam piled on top too. Could anything look more inviting? Fabulous! I’m always on the lookout for pumpkin recipes.